Are you searching for the best electric tankless water heater? Then you have come to the right place. I will provide you with all the information on how to buy the best device and I will also recommend some of the best models that will provide you with warm water whenever you need it. As the name suggests, these water heaters directly heat water without using storage. When you turn on the tap, cold water travels into the heater. The electric elements in the unit heat the water up and you get a constant supply of warm water whenever you need it. Read my top nine electric tankless water heaters reviews below. The EcoSmart provides you with different model heaters and each one of them is equipped with different capacities. With the ECO 11, you get a lifetime warranty if you are buying this water heater for residential purposes. 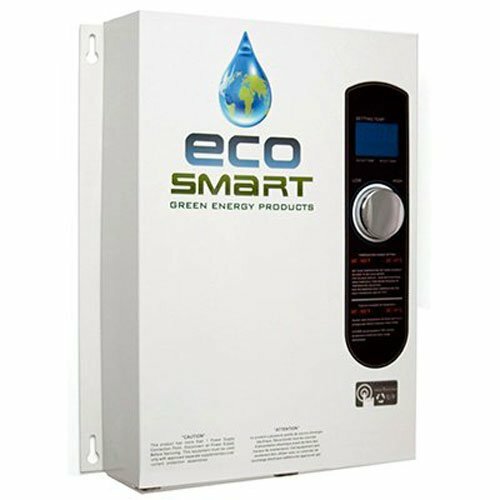 The ECO 11 electric tankless unit enables you to save up to 60 percent on all costs associated with your water consumptions with the help of the highly advanced self-modulating mechanism. The ECO 11 unit will ensure that you never run out heated water. The tankless version enables you to save storage space of up to 12 cubic feet. It also comes with digital temperature controls that you can make changes in up to 1-degree increments. The unit comes with 11 kW at 220V which is equal to 13 kW at 240V and can provide activation flow of 0.3 GPM. The unit needs at least 125 amp electric panel that has a double pole breaker of 60 amp linked with a #6 AWG wire for long and consistent operation. This unit is ideal for small apartments or other small-scale uses. The unit has a capacity to heat two gallons every minute and is ideal for using with weather conditions of up to 67°F. In warmer climates than 67°F the ECO 11 can handle a couple of sinks that run consistently and simultaneously along with a shower. In colder climates below 67°F, it can easily operate two sinks consecutively. The ECO27 is another one of those different models from EcoSmart mentioned above. 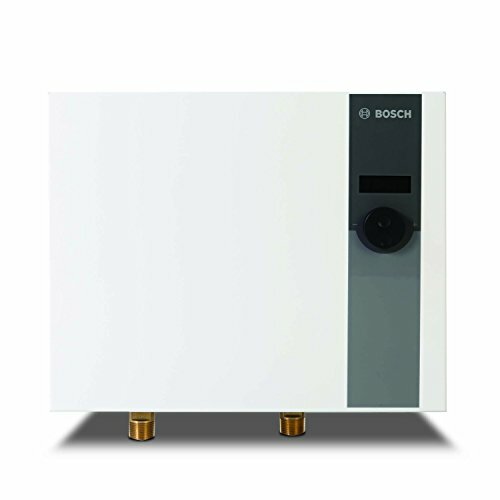 This unit can provide you with up to 50 percent on all costs associated with water heating. It works similar to the previous entry but comes with higher capacity and power. Its digital temperature control enables you to change your temperatures in up to 1-degree increments and the stainless steel and copper components ensure that the ECO 27 can offer top-notch durability, efficiency, and convenient replacement. It is bigger, in comparison to the ECO 11, but still manages to save plenty of space. However, you need to make sure that the unit is the right size for the place where you want to install it in order to avoid any inconvenience. The Stiebel Eltron comes with a self-modulating power mechanism. It is also available in different capacities ranging from 12 kW to 36 kW. The company is a founder and currently a global leader in this technology. The 12kW unit offers up to 80% energy efficiency and 70% water heating cost efficiency. The technology that it features ensures that you consistently get hot water supplied whenever you need it. The unit can operate without making any noise and doesn’t need any venting systems. It also doesn’t need much space with its compact design. The unit only turns on when you need hot water and has no standby energy consumption or losses. The digital display of temperature enables you to take control of the temperature by enabling you to operate it with 1-degree temperature increments. It is equipped with solid copper heating chambers, which means that the water can be quickly heated. The 12kW unit operates with 240V and draws up to 50 amps. It is recommended for a 100 amp electric panel. It requires a 0.37 GPM flow rate for activation. The Tempra can frequently supply hot water for two showers and a sink and is ideal for operation in mild to cold climates. You can opt for higher capacities as well if you have a large home or family. You can easily enjoy any temperature of water between 86°F to 140°F. The advanced microprocessor technology of this unit ensures that the temperature range never deviates from the point you have set. This is another model from StiebelEltron that comes with self-modulating power mechanism. The 24kW unit operates with 240V and draws up to 100 amps. It is recommended for 150 amp electric panel and requires 0.50 GPM flow rate for activation. The 24kW unit provides up to 80 percent energy efficiency and 70 percent savings on water heating costs. It is equipped with solid copper heating chambers, which means that the water can quickly be heated. You can go for high capacity as well if you have a large home or high water consumption. The Tempra can frequently supply hot water for four showers and a sink and is ideal for operation in colder climates. You can easily enjoy any temperature of water between 86°F to 140°F. The digital display of temperature enables you to take control of the temperatures by allowing you to operate it with 1-degree temperature increments. The technology that it features ensures that you consistently get hot water supply whenever you need it. The advanced microprocessor technology of this unit ensures that the temperature range never deviates from the point you have set. It also doesn’t consume much space with its compact design. It only turns on when you need hot water and has no standby energy consumption or losses. The unit can operate without making any noise and doesn’t need any venting systems. 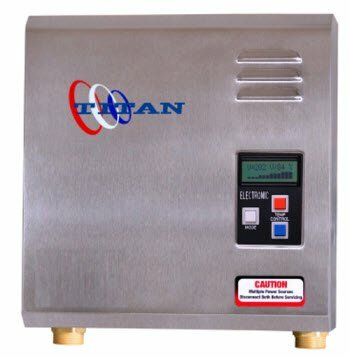 The electric tankless unit from Titan can convert cold water into hot whenever you need it. The 11.8kW unit operates with 220V and draws up to 54 amps. The unit can drive down your water heating efficiencies by 60%. Its solid copper heating chambers ensure quick heating. The SCR2 can work with two showers and a sink to simultaneously deliver hot water and is suitable to work in climates with temperatures over 65°F. The dynamic controls enable you to make changes to the water temperatures in 1-degree increments. The compact design of this model ensures that it doesn’t take up much space in your installation panel. Another excellent feature is that when you need hot water the unit will turn on automatically but will only stay on when you are using it. This helps in lowering down the energy consumption. If you want to get hot water quickly then you need to install this unit closer to the point of use. It is better suited to operate in warmer climates, areas where temperatures are over 65°F. The copper elements used in this electric water heating unit ensures that the heating process remains efficient faster compared to the units with stainless steel. 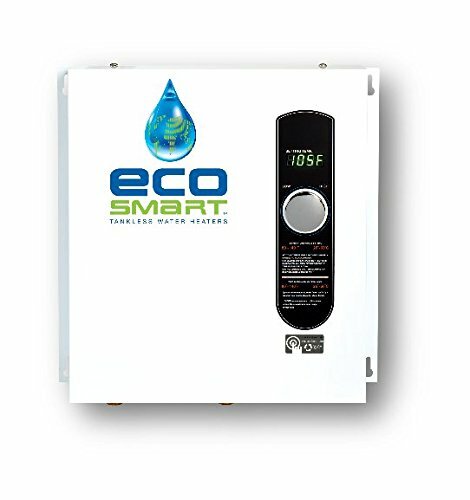 This is another unit from EcoSmart with 7.2kW capacity that offers an excellent option for your hot water solutions. If you have a 10 gauge wiring at your home or apartment with a 30 amp breaker then you will need no additional feeding to run this water heater. 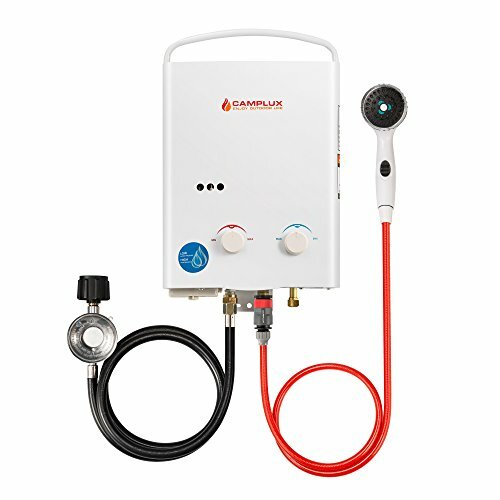 The unit enables you to increase the deliverable hot water amount by 45 percent with adjustable activation temperature that ranges from 80°F to 130°F. The heater unit enables you to make variations of 1°F temperature increments. In addition, you can use this unit on your tank and get more water than your tank’s capacity. This means that if the activation point is set to be at 105°F then the unit will augment the energy/power from the tank and direct the power to the unit which is supposed to increase the tank outlet in order to generate 120°F water and is suitable for various shower applications. The water heater can conveniently handle a couple of showers in your home. You can choose a larger capacity if you have a larger sized home or large family. Bosch WH27 provides 3.3 GPM flow rate at 55°F and is capable at providing limitless power water supply for a single major application. The WH27 offers 97 percent efficiency rate with its element modulation with a consistent output temperature. It also features maximum scale resistance to boost its longevity and durability. You can install this unit virtually anywhere for both residential and commercial purposes. It comes with a voltage capacity of 240V and amperage capacity of 120 amp. The product is certified by Energy Star for high energy efficiency. This can also drive down your water heating costs by 60 percent. It can effectively deliver hot water for two showers and you can use it for a single major application if you don’t want to run out of warm water at any time. The temperature controls are very easy to use and you can increase or decrease the temperature by 1°F increments. Bosch is one of the top brands with many positive reviews from customers. This company determined to provide their clients with high-quality products and the WH27 water heater is one of them. The product is ideally suited for small homes and apartments but you can also use it for commercial purposes. The SP48 operates using 4.8kW and 240V electric capacity and it ensures that you get hot water faster, at an accurate temperature and in safe conditions. It is made to limit calcification and liming. All of the units are tested through highly stringent quality control tests to last more than the marked 10-year lifespan which means it will provide you with top-value of your investment. You can heat up water whenever you want and you don’t have to spend time and waste water to get what you want. The unit is equipped with a microprocessor to maintain the exact temperature you want and prevent scalding. It can conveniently operate two showers and can provide endless hot water stream for a single application. The unit comes with over 1300 SKUs that are ten times more than any other water heater on the market. Eemax has over 25 years of experience and has been producing high-quality products for the customers. It is an ideal product for small homes and apartments but I would not recommend it for commercial purposes. The unit also comes in a smaller size and won’t take up much space either. The Elex 24 from Thermoflow is highly effective at lowering costs and conserving energy. The unit has the ability to save up to 50% in water heating expenses. In addition to that, it also consumes 85 percent less energy as compared to other water heaters. With this water heater, you will never run out of hot water because it is designed to provide consistent warm water in small-medium sized homes. The unit requires an activation flow rate of 0.6 GPM. Moreover, the self-modulating mechanism ensures that you can alter the temperature by 1-degree increments and enables the unit to operate with temperature range from 32°F to 165°F. The unit is environmentally friendly and you don’t need any venting system for it. Before buying, make sure that you verify the size and dimensions of your unit with the place where you want to install it. The unit operates with 24kW and 240V with 100 amp and it requires 60 amp double pole breaker. The unit will need a #8 AWG wiring which you have to buy separately and will not be included in your purchases. The stylish design not only looks good but it also saves space to provide you with maximum facilitation. Is your desired unit capable of providing different flow rate requirements for different applications? To answer that question, you must understand that various faucets have different requirements of flow rate and a variable amount of water. For instance, a bathroom sink uses less hot water as compared to a dishwasher or a washing machine. These heaters are also rated in terms of their flow rates. Therefore, you should seriously consider this aspect when buying a unit for your home. The units that have high flow rate come at an expensive price. What is The Ideal Temperature of Incoming Water for an Electric Heater? These heaters work at their optimal level when they don’t have to raise the temperature over 30°F. With a reasonable flow rate, even the most advanced water heating units are not capable to produce a temperature rise of 50°F. If you are residing in a colder climate, such as the northern USA or Canada then you should choose a hot water tank or a gas powered unit because they are capable of higher temperature. If you are planning to use a water heater during springtime or in the southern USA then an electric model will be ideally suitable. What Materials Should I Choose When Buying an Electric Unit? 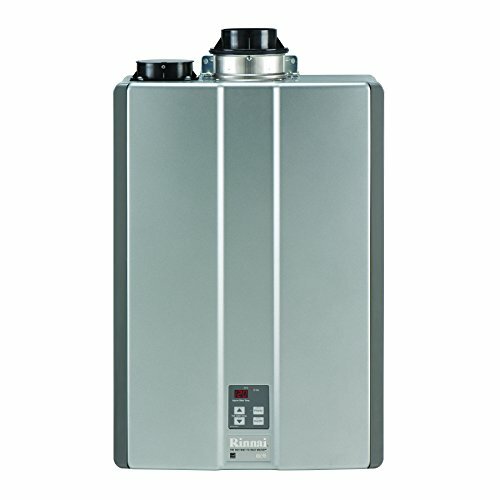 Most of the tankless electric water heaters are made of metal materials and are prone to lime scaling and will also need regular maintenance. There are new technologies available that can descale the unit. If the area you live in only supplies hard water, then you should opt for a unit that has the infrared technology. Do Electric Units Come with a Warranty? What Size Should I Consider? Size plays a significant role when it comes to selecting the right unit. Buying a large sized unit will be very effective for your home but it will also add to the energy consumption. A smaller sized unit is good enough for a small sized home or a family. If you have many users, this means that there will be plenty of demand for hot water, then you should opt for a powerful unit. Moreover, if you are living in a colder climate then your heater will require more energy to heat the water up as compared to the hot climates. Is Energy Efficiency Important in These Units? You have to look at the efficiency factor of the device that you are going to buy. The best heater comes with an EF rating between 0.92 and 0.96 which means that the unit has an energy efficiency of 92% to 96%. The energy efficiency can be determined with the help of various energy elements and these elements rely on the quantity of water that a unit can produce per day. More efficient models have a higher energy factor. Before, choosing the right electric tankless water heater you should determine its cost. There is a large range of eco-friendly models available. These units provide excellent water utilization and energy saving features. There are different versions of this electric heaters available on the market. Most of them are highly efficient when it comes to energy consumption and water utilization. The ECO 11 from EcoSmart turns out to be the winner in this round because it is best suited for most homes and you can install it basically anywhere. It is a competitively priced water heater as well. If you want higher capacities, then you can also go for a more advanced units from the list above. There are different units available on the market and buying the right one depends upon your preferences and needs. Therefore, you must understand your needs and requirements before you make up your final buying decision. The reason why electric tankless water heaters are so popular is because they are excellent for indoors and their installation is not much of an issue. These water heaters will also save you on your utility bills because these units work on the principle of demand. You will get hot water whenever you turn the tap on. 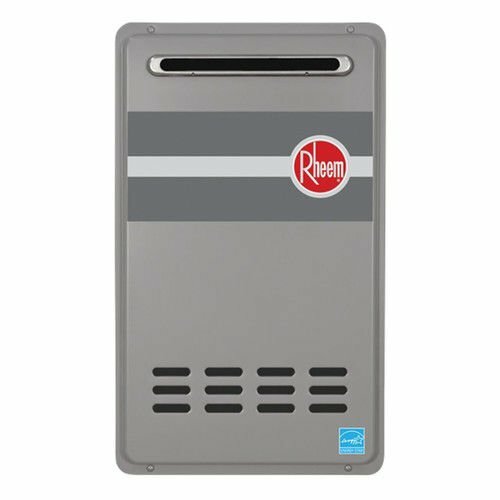 How to Select the Correct Tankless Heater for My Home? 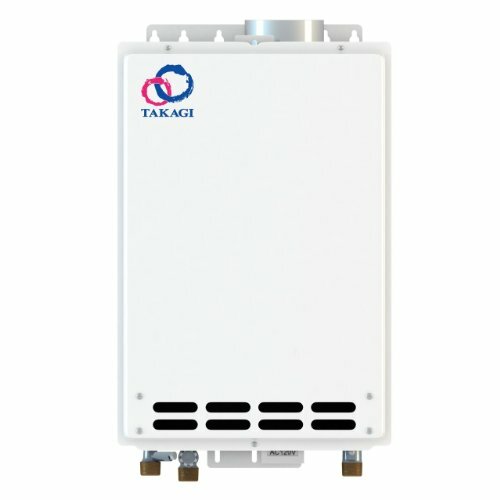 Why Should You Go Tankless?